Owning a home requires a great deal of responsibility. There are many things that you need to take care of so it does not fall into a state of disrepair. One of the most important issues that that you need to constantly monitor is the condition of your foundation. You could develop some very serious problems if some cracks start to form in your foundation that you are unaware of. You might notice a few cracks at some point in the future. If this is the case, you will need to hire a company that specializes in foundation repair. Here is how you can go about finding one of these companies. Go to some home and garden shows in your area. Many cities have home and garden shows. They are usually held in large convention centers. Many companies that specialize in home improvement jobs will have displays set up so you can get an idea of what they do. Roofers, landscapers, driveway installers and HVAC repair technicians will all be trying to attract new customers at home and garden shows. You will also be able to find a decent number of companies that perform foundation repairs. These companies will usually provide before and after photos that you can look at. They will most likely be able to provide you with some references. You can schedule appointments for an estimate with the foundation repair companies that impress you the most. Look at some home improvement blogs. There are plenty of blogs that focus on home improvement topics. You will be able to find articles and videos regarding foundation repair. See if any of these blogs gives recommendations for any companies that will handle cracked foundation repair. You might also want to leave a question in the comment section. Ask the other users if they can recommend some of the foundation repair companies they have used in the past. You might be able to get some solid references using this method. 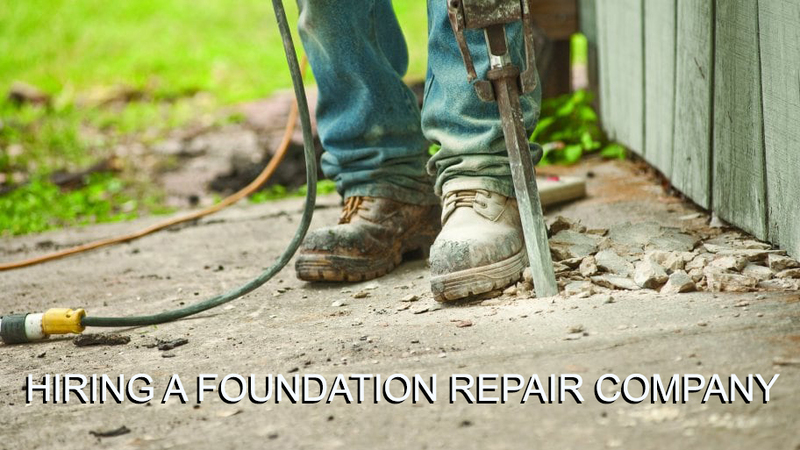 Make sure the foundation repair company you hire is willing to guarantee all of their work. You should only do business with a company that is willing to come back to your home and fix any mistakes they made for free. The best companies have confidence in their work. They will not have a problem giving you a complete guarantee on any work they do.